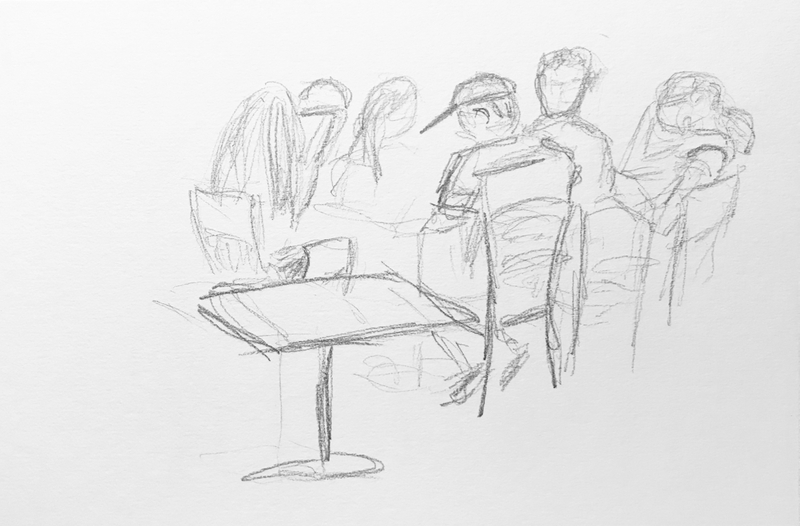 I was sketching these people when three other people sat at the empty table pictured below. These interlopers were the subject of yesterday’s sketch. But I think I had enough time to give a sense of the atmosphere at that crowded table. This entry was posted in Personal Stories and tagged art, artistic process, creativity, crowd portrait, drawing, pencil sketch, portrait, portraiture, sketch, visual art. Bookmark the permalink.